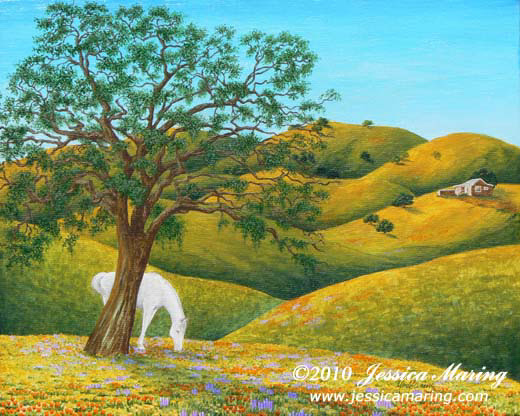 Rolling golden hills dotted with oak trees and horses are the quintessential California. In early summer wildflowers brighten the green and gold carpet of native California grasses. Late in the afternoon, long shadows herald the golden time of day.